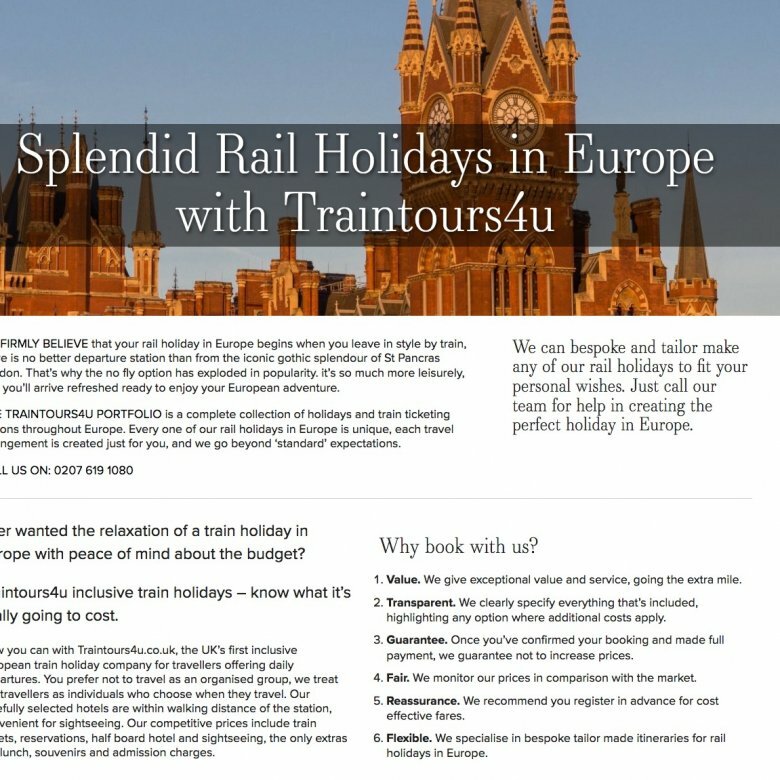 We are pleased to announce the launch of a new travel website design for TrainTours4u. 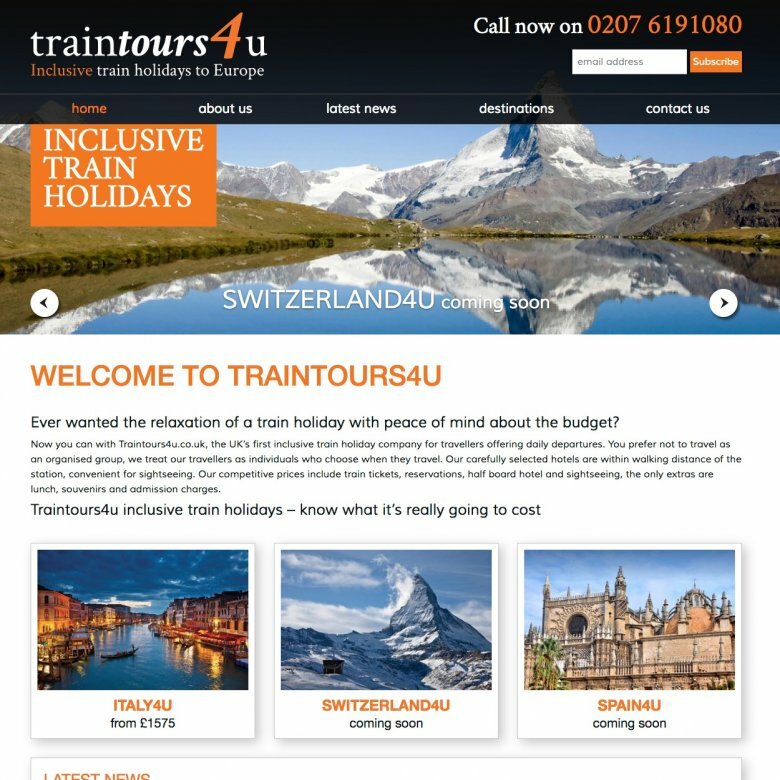 Specialists in European rail travel and inclusive train holidays, TrainTours4u now have brand new bespoke website design from The Web Design Travel Agency. 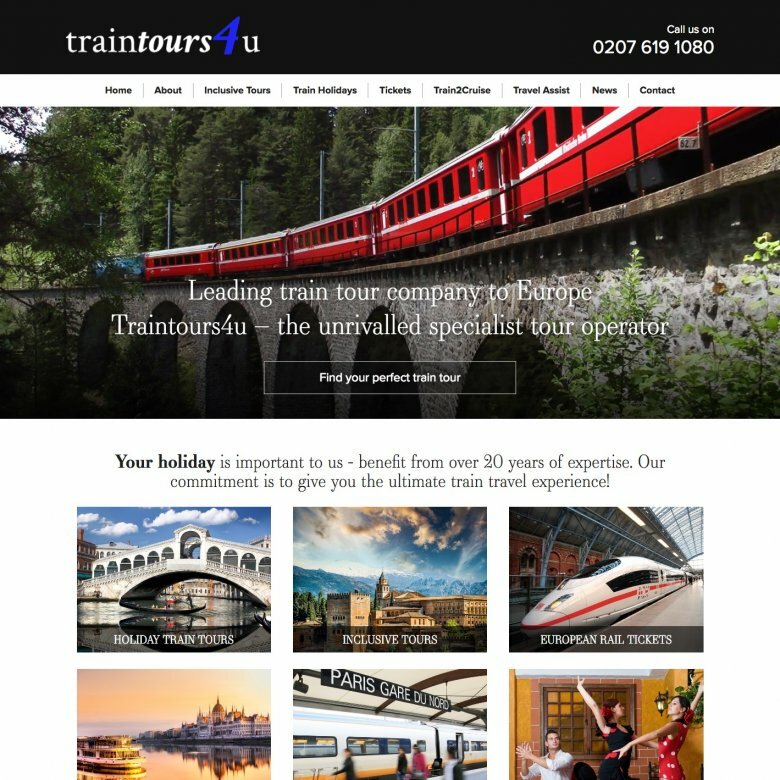 TrainTours4u had three existing websites, each of which was designed sell a different service: all-inclusive train tours; non-inclusive tours and rail tickets. 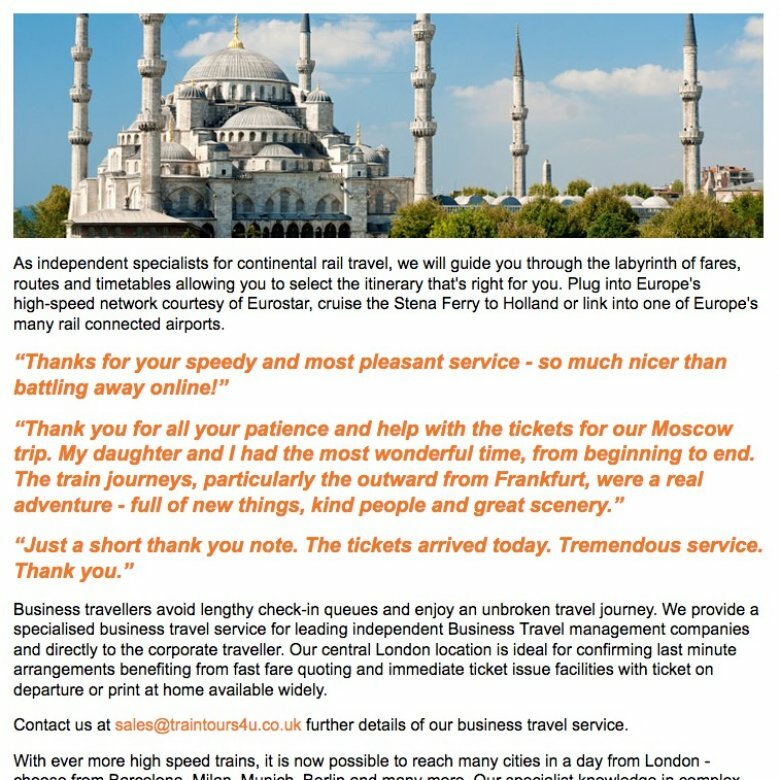 Services featured on one website were not mentioned on another, which lead to the audience not being aware that there were even other services available. To compound this issue, the three sites used similar colours and layouts, but different logos, leading to confusion over brand identity. All these issues have been fixed by combining these three into one single website. If you want more than just a website, Webbed Feet offer a complete package. Since working with them in June, we’ve had an outstanding level of support in making our website stand out and be found on the net. Their supporting activities both on and offline give us complete confidence in the success of our new website, they’re great partners! 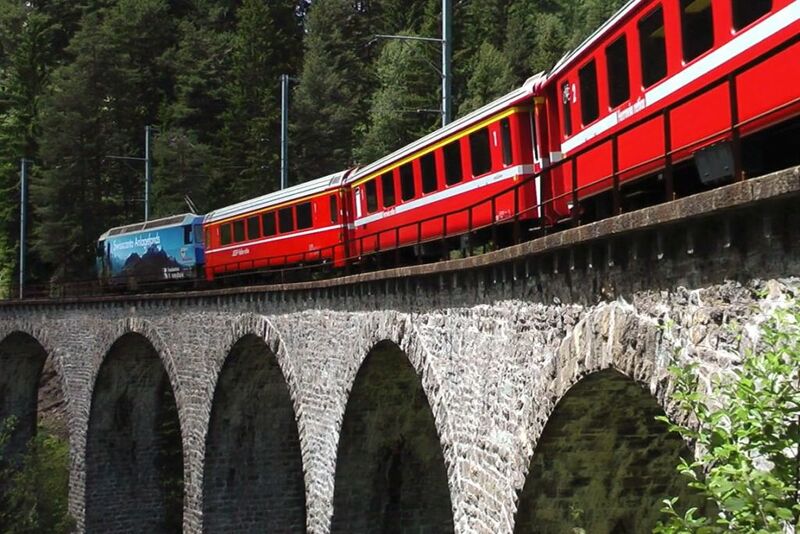 A user is now immediately made aware of all the services available from TrainTours4u and can find the information they need from one site. 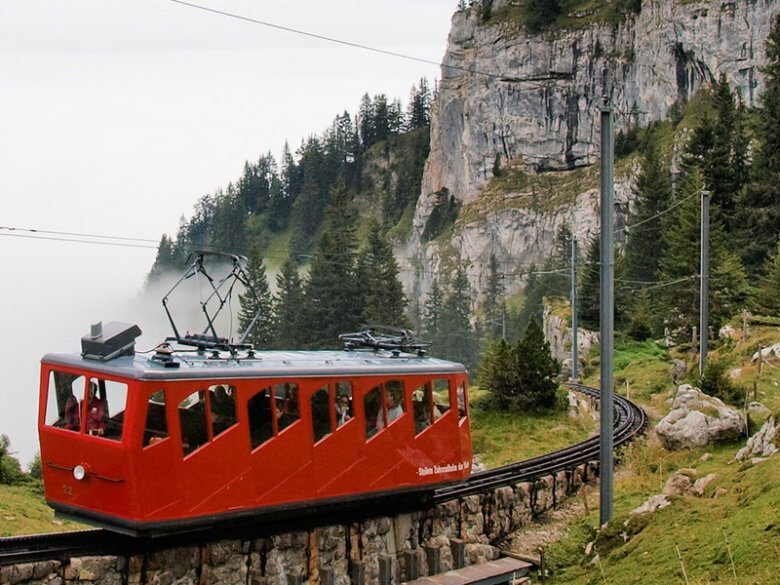 For example, users who might initially have been looking for an all-inclusive tour can now be sold a cheaper alternative if they have a smaller budget. Much of the information on the old websites was either out-dated or irrelevant. 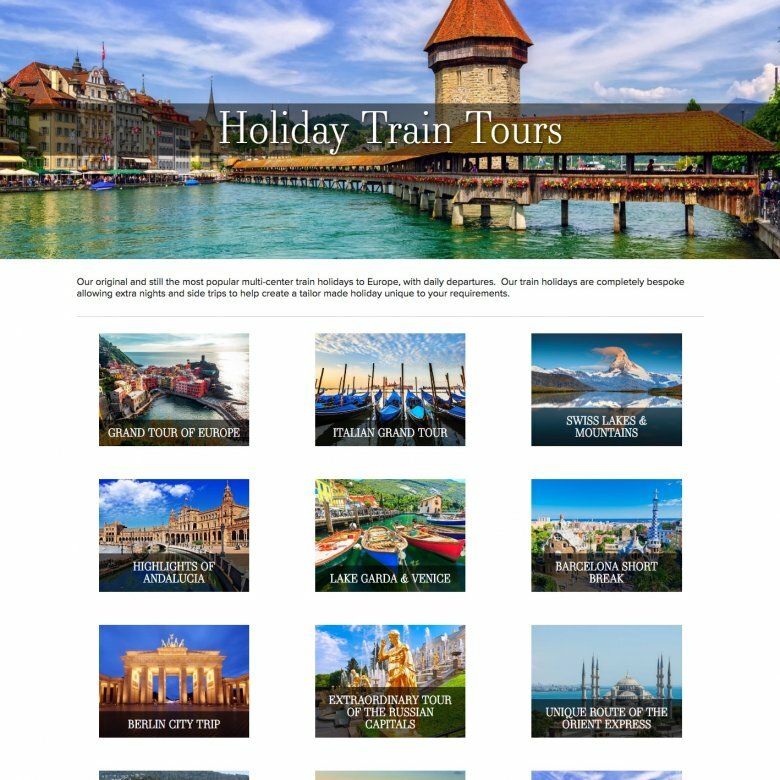 The new website features our bespoke tour management system, meaning TrainTours4u can now easily keep the site up to date. 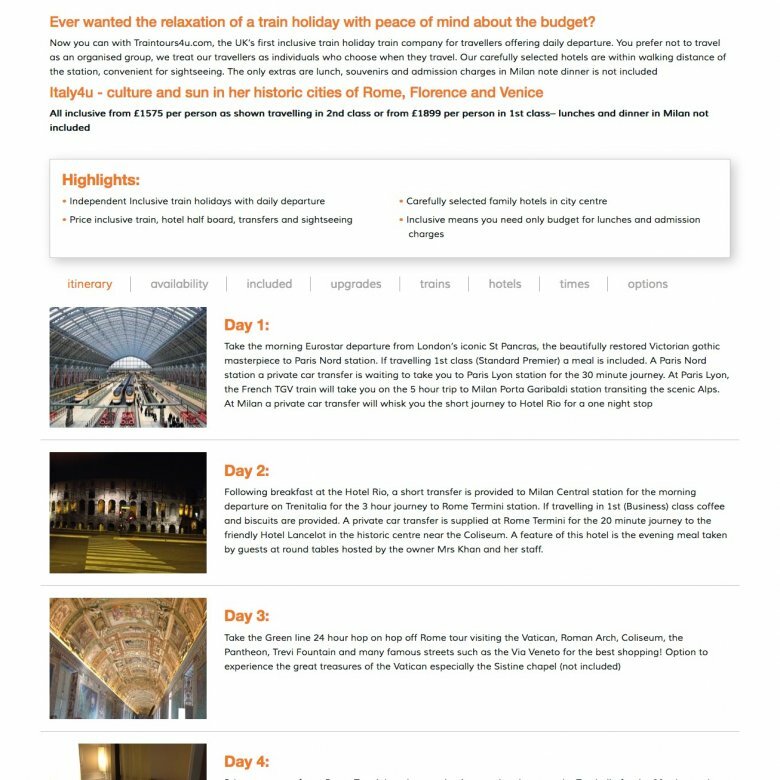 Not only does our system make the site much easier to use, but it provides a clear structure for each tour. Information such as pricing, what's included, highlights and itinerary are all managed efficiently by the system, leading to a strong level of consistency across the site. The tour system also allows online bookings to be taken, which will increase the number of conversions. The design on some of the old sites was somewhat dated and not mobile-friendly or responsive. A lot of potential holiday goers will be browsing on tablets and phones from their couches, so it's important that they are catered for effectively. The new website has been designed from the ground-up to be contemporary, whilst also keeping the older target demographic audience in mind. We have kept the page layouts as simple and well structured as possible to prevent bombarding the user with too much information. And of course the new site is also mobile friendly and responsive.